Third graders are learning vocabulary about la casa (the house). 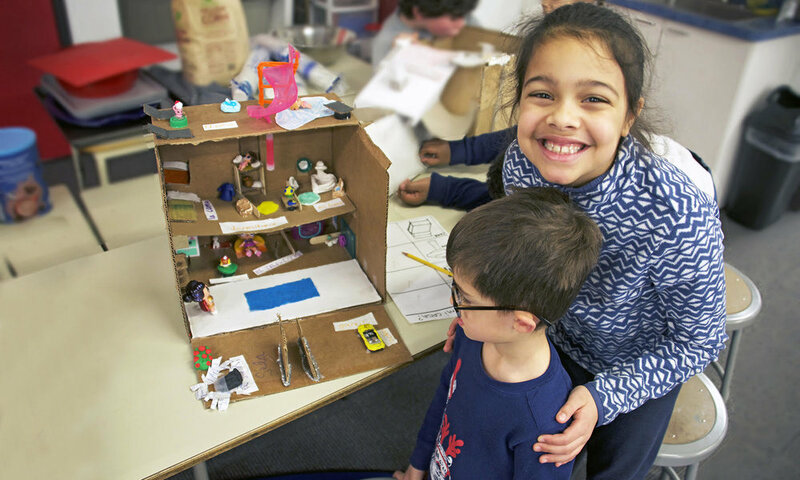 They have worked hard to create little houses, or casitas, and are combining their learning about house vocabulary with the verb estar, which means "to be," in order to describe location. 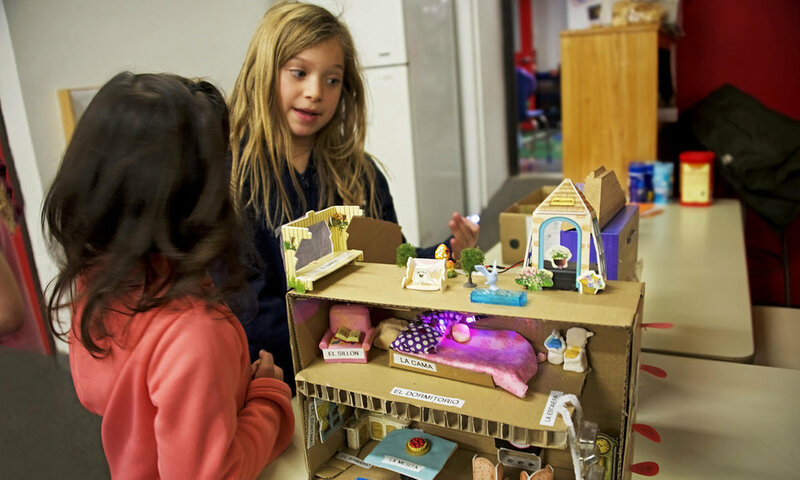 Last week third graders practiced their Spanish vocabulary by presenting their casitas to kindergarteners.